Home » Events » Fall Seminar Series 2015: Burning the Candle at Both Ends? Discover Ways to Live Without Stress. 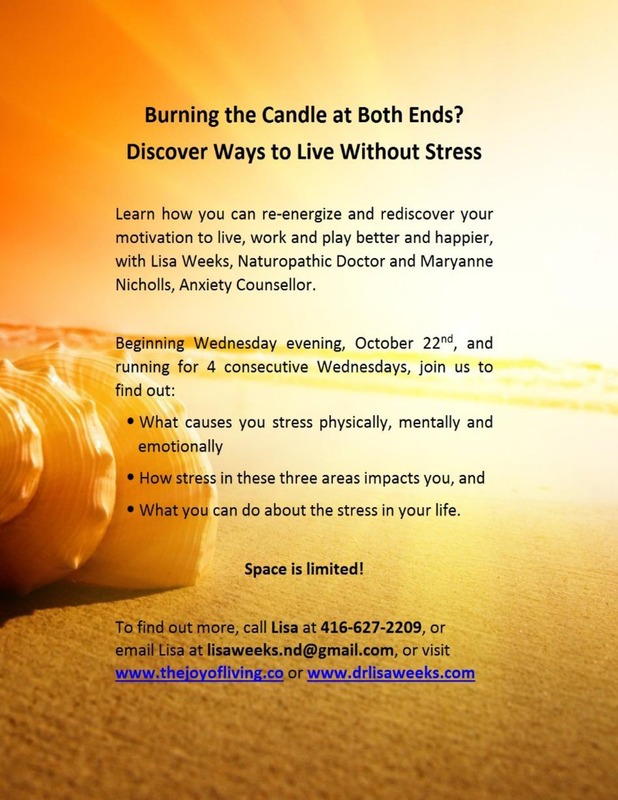 Discover how you can re-energize and rediscover your motivation to live, work and play better and happier with Lisa Weeks, Naturopathic Doctor and Maryanne Nicholls, Anxiety Therapist. Space is limited. Sign up today to secure your spot. Cost: $90 + HST for the 4-part series; OR $25 + HST for each individual workshop.